To listen to the strains of a Scottish bagpipe floating across Impson Valley in his beloved mountains of Southeast Oklahoma, family and friends are invited to the memorial service for Phillip Darrell Napier at noon Sat. 4/26/2019 at the Napier Ranch in the community of Miller-Jumbo Pushmataha County. Open house on Sunday, 4/14/19 will be at their home in OKC 12:00-5:00pm. Phillip D. Napier was born in the Miller community to Mr. & Mrs. Carl & Vivian Napier, March 17, 1939. “A Scot born on an Irish holiday”. He shares a birthday with two brothers, Kenneth, 1937, & Edward, 1949. Phillip attended a one room school in the Florence community, graduated from Moyers High School 1956. Being 6’5” tall basketball was his sport. Working his way though college he attended Eastern A&M 1956-58, Associate Degree, Science; SE OSU, Bachelor/Masters, Edu; OU 1974,1986, Administrative & Superintendent Certificate. 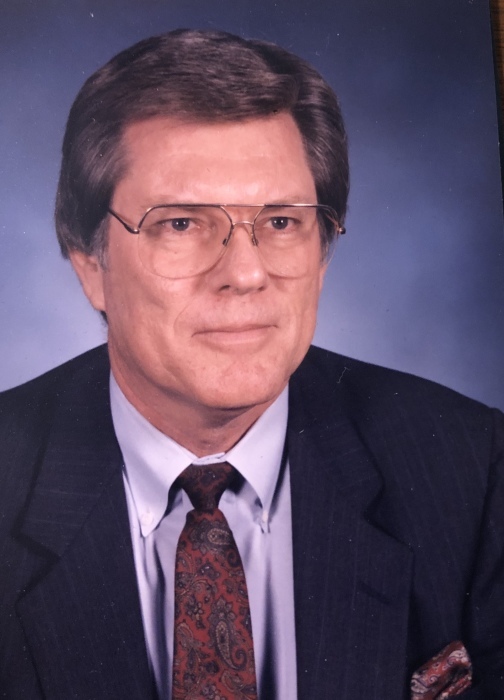 Joining the Moore Public school system 1970’s, he served as an Asst. Principal, Kelley Elementary; Principal, Southgate & Kingsgate elementary. In the 1980’s he worked at the OK. State Dept. of ED., Coordinator Curriculum Development; Director of Accreditation for OK & OK North Central Association. He married his wife Karren Barton of Prague, 1972. The Napier’s moved to the Heritage Hills historical neighborhood, 1976. He served on the Heritage Hills Board of Directors developing the H.H. parks and beautification committee for 40 years. Received the “Charlie Award” named for Charles Nesbit & Charles Coley. Honoring him for his exemplary service & dedication to the landscape & maintenance of the historic areas. An avid chef he loved to entertain his neighbors and friends. He was a charter member of the “Friends of Wine”, first Oklahoma wine club 1976. Phillip offered his kitchen to the chefs of Harn Park each June for 13 years hosting the memorial pancake breakfast funding the planting & maintenance for the hanging flower baskets in Harn Park. He was also a member of St. Lukes Methodist church. Retirement found Mr. Napier employed at the FAA as an instructor for aviation safety inspectors. Later he was as an assessor for the Department of Corrections. Preceded in death by his parents, M&M Carl D. Napier, Moyers, OK. Brother Kenneth Napier, Plano, TX. Survived by wife, Karren Napier, OKC, OK; Brother and wife M&M Eddie Napier, Moyers, OK. There's still time to send flowers to the Memorial Service at the Napier Ranch at 12:00 PM on April 26, 2019.